Two great privacy coins both with amazing potential, but which is better! ***Please note I made a mistake here PIVX team is funded !!! Sign up on Bitfinex to get your IOTA, OmiseGo, EOS, and get 10% off your first month's fees! Let's Talk Crypto Market Dip! Previous Post:Monetha ICO Review – To Get In or Not? Thanks Lark for this comparison much appreciated! This is a great review. I would like to see you do more comparison Vids. Also can you please look at SAFX SEC. Thank you Lark, your hard work is appreciated. I want Nav to reach stardom. They’ve made great progress and they follow their roadmap. Really hope I get to sit down with those guys next month! Thank you for your hard work and dedication friend. Bases on what? Back to basics, the basis is crypto currencies all those platforms/applications can be fueled by other crypto currencies in the future. And there are already allot of platforms for building apps. So that isnt realy added value. It is all about adoption of a currency and I dare to say PIVX is closer to adoption then NAV. Also PIVX is a much better coin. NAV isnt a wellknown used platform for apps and isnt an outstading coin. Maybe in the future but stating it has more potential then PIVX is strange. 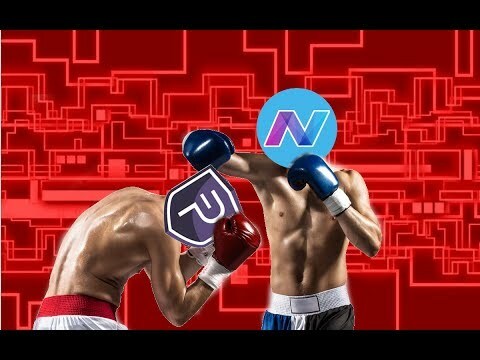 PIVX is in the process of proven itself as a coin and it gets recognition NAV hasnt proven itself as an app platform nor as a coin yet. May be in the future. Heres how I see it. If PIVX were to make instant transactions, it could be similar to miners but most likely a little less as monero is the big boy. Most likely will see lesser returns in the future but easier tasks and more likely to achieve that. Nav, if they were to follow through on private dApps, could be huge in the future, especially considering the need for privacy and future of the deep web. I think for long term and slightly riskier, than nav is your bet. Nomen est omen! They both sound like losers. Aeon on the other hand.. well it sounds more like the future guys. I know, I should get one! How do you feel about NAV now? Still buyin and or staking? ?